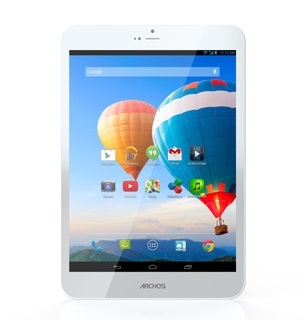 Much like their phone range, Archos are pushing out every variation of tablet to increase customer choice. Each tablet in the range comes with a different label after a periodic element, Cobalt, Titanium, Xenon and Platinum. Each Element seems to increase the specs and the price a little with various screen sizes available for each. Simple idea however, maybe a little confusing with you have so many to choose from. The Xenon is the slightly lower high end range, not quite a feature rich as the Platinum. The big drawback really seems to be the lack of options for storage, all of Archos’ tablets seems to come with 8gb storage aside from their flagship 101xs2 with 16gb. In the video below I take a look at the Archos 79 Xenon, going hands on with the little beauty after a rapid unboxing.